Cute, silly, and loyal. Our dogs are far more than just pets – they’re family. They make us laugh, they truly show us love and really are one of the greatest gifts. They are just the best, aren’t they? So of course, we want to do all we can to make sure we’re giving them the best possible life and doing right by them. As a full-time working dog mom, I have a lot of (what I call) Dog Mom Guilt. It’s a real thing, believe me. I feel like I should be home with Ryder giving him all the love possible. Snuggles, long walks, the whole nine. If you work full time like me, I’m sure you have felt the same. It can be a really tricky dilemma, no one likes leaving their pooch at home for such a long time during the day. What does that mean you should quit your job? Thankfully there are things you can do to make sure you can keep the balance between working your job and looking after your dog. Here are some tips to help ease your Dog Mom Guilt. As they say, a tired dog is a happy dog. Your dog is at his most content when he’s exhausted. If you want to prevent (or stop) destructive behaviors like chewing, howling or accidents when you’re not at home then exercise is a great place to start. It might be a case of setting your alarm earlier so you have time to get out and walk your dog. If they have good recall it’s a little easier, as you can let them off to run or throw a ball for them in the field. And of course, if you have a yard, that’s even better. If your dog is younger, or uber anxious when left alone, you want to make sure they’re extra well looked after. You could arrange to have a dog walker come and take them out midday too. I used to work for Rover. 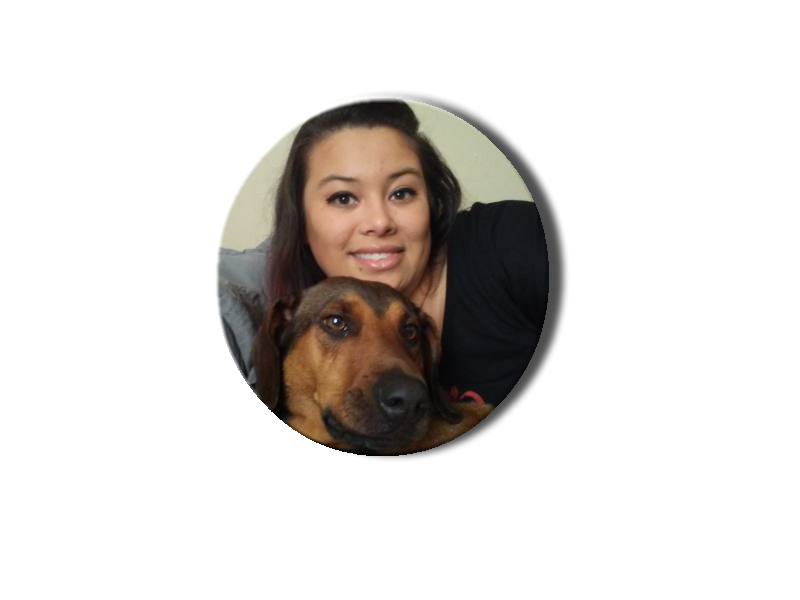 On rover.com, you can find plenty of great dog walkers and sitters online. If you use my referral link you can get $20 off your first booking. Sitters and dog walker will help prevent potty accidents, and can also mean Pupper is tired until you get home. If you work late hours, this is definitely something worth considering. One of the issues with your job might be that you’re required to travel or work occasional overnight shifts or just long days. If this is the case, finding the details of a good dog daycare center could be the way to go. This way if you need to, you can drop them in and have peace of mind that they’re being well looked after while you are away. This can also actually be a fantastic opportunity for your dog to socialize. Meeting other dogs and people is very beneficial for them. Just like you or me, your dog can become extremely bored when cooped up in the house all day. The added interaction with others does the mind and body good. Do your research and find one that you’re happy with, have a good look around and find out as much as you can. If you spend a lot of hours away from the home, consider a dog monitoring camera. Whether you are gone for work, errands, or other life obligations, you will always be able to check in. Take the Furbo for instance. With Furbo, you are able to see and talk to your dog in real time. It even has a treat-tossing feature to keep your dog entertained. The Furbo has other great features such as a selfie alert, excessive barking alerts, and letting you know when there is somebody inside your house. All of these alerts come straight to your smartphone via their app. Being able to see talk and interact with your dog from afar can really help the day pass faster and seem less stressful on you and Pupper. Plus having this two-way camera gives you more peace of mind while you’re away from the home. Not only can you check in on your dog, you can check on your general home security. Of course, if you’re gone all day at work the first thing you should do is spend time with your pup when you get home. If you’ve been out for a significant part of the day, the last thing they want is your lack of attention for the rest of the night. After taking them for another walk or playing an interactive game to tire them out, let them sit with you on the sofa or on your bed. Get your cuddles in, so they get the companionship they crave. Dogs simply love spending time with their humans! They are pack animals after all. They could chew a bone or play with a toy or just snooze next to you while you watch tv in the evening. Most dogs are pretty content just being by your side. However you choose to combat your time away from your dog, please show yourself some grace. We all have life obligations that unfortunately can’t include our pups. If you are a 9-5er, don’t let the Dog Mom Guilt get to your head. Just like me, you’re doing all that you can to give your dog a better life.